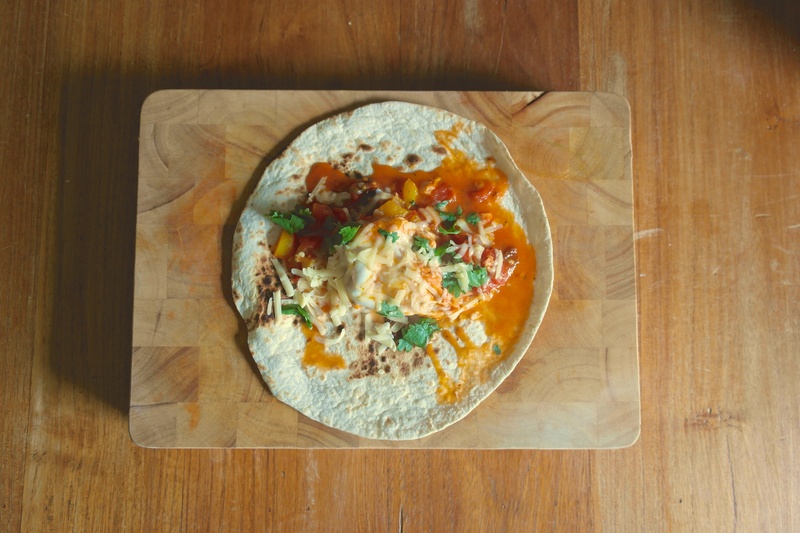 Huevos Rancheros are up there with my all-time favourite weekend breakfasts. It takes a little longer to make these than toast, but they are worth the effort every time! If you have a lazy morning in, with some good coffee and a great playlist, try these for a brunch treat! If using chipotle chillies, put these in a bowl and cover with hot water. This will make a really smokey stock that will add bags of flavour later! 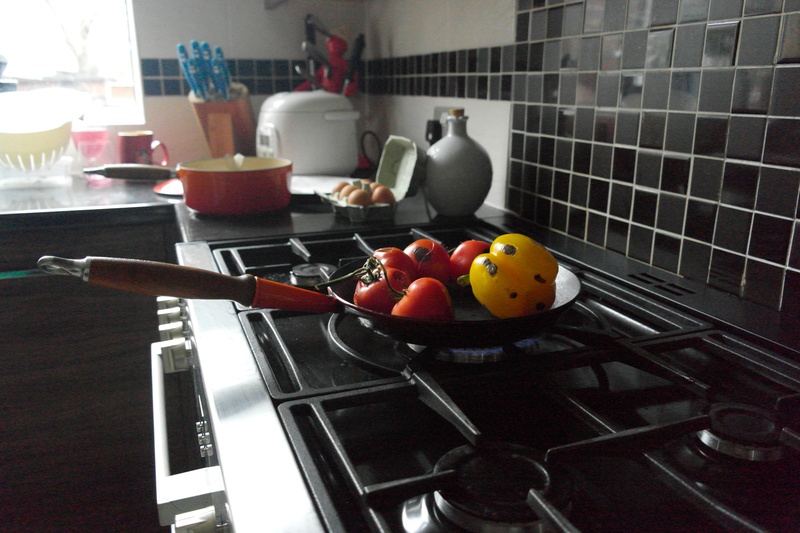 Get a heavy bottomed pan on the hob, and heat it up. Dry fry (With no oil) the vine tomatoes, and the pepper. In Mexico, this technique is used to add flavour to salsas and other dishes. You are looking to really burn the skins and get a good colour on them. This will take a while, so don’t forget to keep moving them every few minutes to get the colour all over (This makes a great base for any salsa, and it’s worth experimenting with!). While the pepper and tomatoes are cooking, finely chop the fresh chillies and onion and crush the garlic. Put these in a pot where you will have enough room to poach four eggs. Add a dash of olive oil and cook until the onions are translucent and soft. This is the base for the hot salsa that you poach the eggs in. At this point, the tomatoes and pepper should be nicely coloured. Take them out of the pan (the vines come in handy here!) and chop them roughly and add to the onion mix. If using, chop and add the chipotles now to cook in the smokey flavour. Add the 400g tin of chopped tomatoes. To finish the salsa, add the paprika, cumin and oregano, and stir well to mix. Poaching the eggs doesn’t take long, so I like to have everything ready before starting. 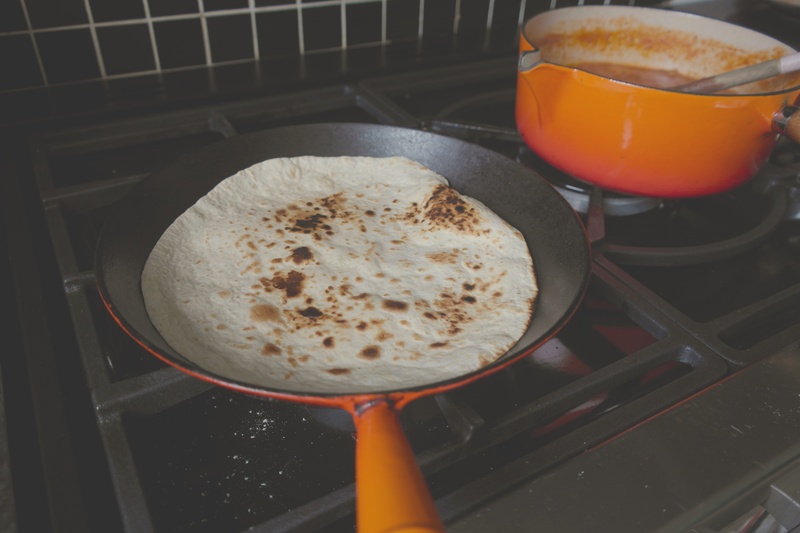 In a heavy bottomed pan or skillet, dry fry the tortillas. While doing this, grate some cheese and chop a little coriander. With the tortillas ready to go, its time to poach the eggs. 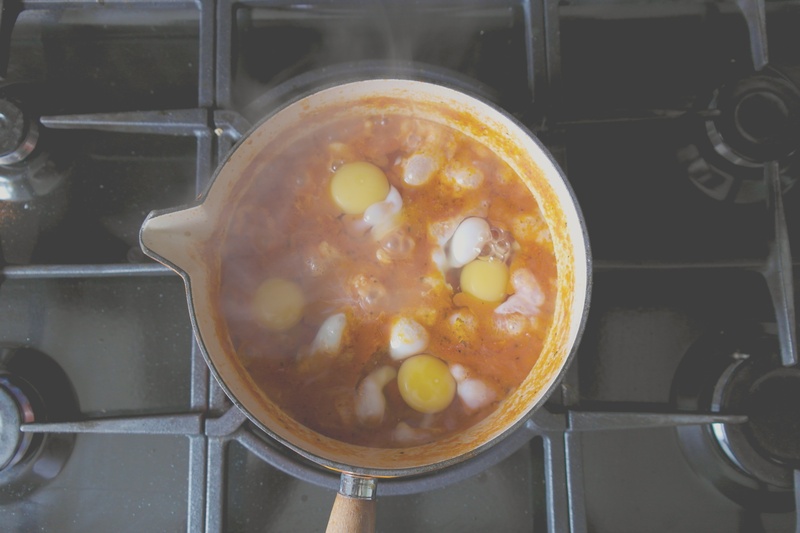 Crack four eggs into the salsa and put the lid on the pan. The eggs will be done when firm, and this should take 2 minutes. When they are ready, serve on a warm tortilla, top with cheese and fresh coriander and serve with your favourite hot sauce and black coffee! This looks delicious, James! I might give it a go this weekend; I’ve got a fresh batch of cold brew and a playlist, so now all I need is the huevos rancheros.